TV3, 3e and Be3 have rebranded to Virgin Media One, Two and Three. TV3 AND ITS supplementary channels are no more as a rebranding to Virgin Media Television comes into effect today. The Ballymount broadcaster’s rebrand was announced at the end of June with the three channels that were part of the TV3 brand renamed from TV3, 3e and Be3 to Virgin Media One, Two and Three. The TV3 Group of stations was bought by Liberty Global, the parent company of Virgin Media, in July 2015 for €80 million. A year later, the company snapped up UTV Ireland for €10 million, which it rebranded as be3. 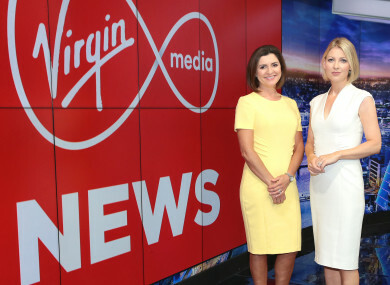 Virgin Media Television has promised to produce new Irish content as well as continuing its regular daily shows such as Ireland AM, Elaine, The Six O’Clock Show along with the new Virgin Media News at 8pm. Head of news at Virgin Media Television has described the rebrand as a “new era in Irish television”. Email “TV3 is no more as broadcaster's rebrand comes into effect ”. Feedback on “TV3 is no more as broadcaster's rebrand comes into effect ”.